Steven Spielberg's "Lincoln," which tells the story of the famed president's final days in office, earned seven Golden Globe nominations Thursday, including best movie in the drama category, best director for Spielberg, best actor for Daniel Day-Lewis and best supporting actress for Sally Field as Mary Todd Lincoln. The movies nominated for best drama were pretty much as critics predicted. 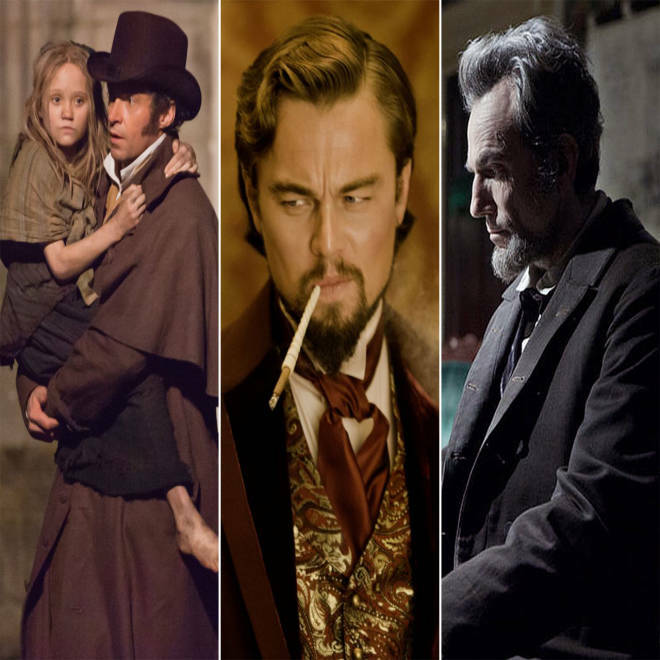 In addition to "Lincoln," "Argo," "Django Unchained," "Life of Pi" and "Zero Dark Thirty" earned nominations. Lesser-seen films dominated the film comedy and musical category. "The Best Exotic Marigold Hotel," "Les Miserables," "Moonrise Kingdom," "Salmon Fishing in the Yemen" and "Silver Linings Playbook." Of those, "Les Miserables" is the only one to be opening in thousands of mainstream theaters, and that not until Christmas Day. Major names filled the best director category. Ben Affleck was nominated for "Argo," Kathryn Bigelow for "Zero Dark Thirty," Ang Lee for "Life of Pi," Steven Spielberg for "Lincoln" and Quentin Tarantino for "Django Unchained." On the television side, "Breaking Bad," "Boardwalk Empire," "Downton Abbey," "Homeland" and "The Newsroom" were drama nominees. "The Big Bang Theory," "Episodes," "Girls," "Modern Family" and "Smash" were nominated for best TV musical or comedy. After the nominations were announced, Christoph Waltz, nominated for best supporting actor for his role as a dentist-turned-bounty hunter in Tarantino's "Django Unchained," talked to TODAY's Savannah Guthrie about his reaction. Waltz noted that his name was the last of the five to be read, saying that by that point, he'd thought to himself, "I kinda know what I need to do in January anyway," only to be surprised by his inclusion. "Django Unchained" opens Dec. 25, which Waltz noted is very late in the awards season. "I see it picking up steam," he told Guthrie. Waltz also said he felt lucky to be able to help develop his character along with Tarantino. "I was allowed to kind of follow the genesis," he told Guthrie. "I saw this character come to existence ... become a personage." Naomi Watts was nominated in the best actress category for her movie "The Impossible," which focuses on a family's experience during the 2004 Indian Ocean tsunami. She told the TODAY anchors she was celebrating her son's birthday with pancakes when she received word she was nominated. "I did a little yelp and my son got worried," she said. There was little dialogue in "The Impossible," much of which was shot in water, not exactly a favorite substance for Watts. "I had a bad experience with riptides, like, when I was a teenager," she said, telling of a time in Bali when her family was trapped in waters rougher than expected. Her mother, she said, "miraculously" found solid footing and pulled her daughter to safety. "I've had a fear of water ever since," she said. Bradley Cooper, a nominee for best actor for "Silver Linings Playbook," also spoke with the TODAY anchors about the awards. "Silver Linings Playbook" is also nominated in the best movie, comedy or musical category, and Cooper's co-star Jennifer Lawrence also received an acting nomination. "It's a small film, and it's a word-of-mouth movie," Cooper said. "And hopefully the fact that it's getting this kind of attention, more people will go see it." Cooper heard his nomination announced by his friend and "Hangover" co-star Ed Helms. "On a personal level, it's just surreal," he said of being nominated. "I grew up the nerd who would like, wait to hear the announcements." He also said his date for the awards would almost certainly be his mother. Tina Fey and Amy Poehler, both nominees in the TV best actress category, will host the Golden Globes, which air on NBC Jan. 13.